Its body is fairly free of wrinkles, but it carries heavy neck folds and frequently wrinkles or heavy folds behind the shoulders and on the thighs and rear flanks. The type B is larger and better adapted to everyday conditions than the type A. 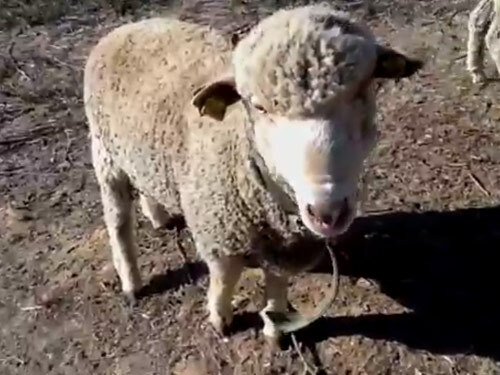 The type "C" or Delaine Merino is the most practical Merino and is especially adapted to range sheep production in the western and southwestern parts of the U.S.
Delaine Merino are medium size sheep. Mature ewes with full fleece average from 125 to 180 pounds. Rams are larger ranging in weight from 175 to 235 pounds. The Delaine has a smooth body and is free of wrinkles. In the U.S., over 95 percent of Merinos are smooth or nearly smooth.